Wouldn't you like to put any worries that you might have about next season's camp enrollment in your rearview mirror? Making your camp "the" place where campers want to be can be easily achieved if you employ some simple but effective marketing management strategies. So, how can you cultivate the perception that your camp's popularity is soaring and that to secure a space in next year's camp means completing an application ASAP to avoid being put on the waiting list? The answer is in a concept called marketing management. Marketing management involves taking care of business with the basic four Ps of marketing in mind: Product, Price, Place and Promotion. All four of these Ps interact and complement each other. The interrelationship between the four Ps of marketing should be the focus of effective marketing management. High energy can be created when all four principles of marketing are given equal attention. If you look at businesses that have failed or have been slow to take off, most of their owners put the marketing principle of promotion on the back burner. One of the mindsets that can lead to this mistake is the belief that if the product is superb, the word will spread and the campers will enroll. Another mindset that can neglect the principle of promotion is the belief that a beautiful camp, located in an ideal setting will create demand and, in turn, full enrollments. And perhaps the least effective mindset (usually resorted to if all else fails), is that healthy camp enrollments can be all about price. Chop the price to undercut the competition and maybe camp enrollments will improve. These mindsets may seem extreme at first glance but think about it... It could seem quite logical to believe that having innovative programs with a dynamic staff (the Product), with gorgeous, state of the art camp facilities (Place) at a reasonable camp tuition (Price) would make everyone want to enroll and that the high quality of the camp will sell itself. After all, most people appreciate high quality. However, consider this logic: If the marketing principle of promotion is being employed by a lot of other camps, people may never discover that your camp (as great as it is) even exists. From this perspective, it should be pretty clear that the contribution of promotion in marketing management is just as important as product, price and place, especially when you are struggling to fill camper enrollments and long to enjoy the security of long waiting lists. There are many promotional techniques to get the word out about your camp: the Web, print media advertising, mass mailings, even cross-promoting with a clothing or equipment vendor. Most of these techniques usually require some hefty upfront costs. And since many of these promotional techniques are probably already part of your promotional strategies, you might be ready to improve a secret promotional weapon that is already part of your camp business, the camp store. Marketing studies have shown that many campers who purchase and use products that they have bought at camp (and on the camp, on-line store) have a greater sense of loyalty to the camp. What camp owner wouldn't want campers to return year after year and to have campers who love their camp experience so much, that each year they convince more of their friends become campers, too? What about this scenario... Campers who can't wait for their own kids to be old enough so that they can go to camp that they loved when they were kids. When you consider the branding opportunities in your camp store and how this can foster customer loyalty, you may decide that your camp store should be a lot more than keeping your campers happy with snacks and t-shirts. Having your camp store transactions help promote the value of your camp with the help of your current target market is truly a marketing manager's dream come true. By using the some of the ideas listed below, you can not only increase your revenue stream from your camp store but you can also accomplish what is the ultimate goal of the most effective marketing managers -- getting your campers on "the escalator of consumption." In other words, entice your campers to buy merchandise that helps them stay not only connected with your camp but also gives them the mindset of wanting more of it. The first step on the escalator could be buying something at the camp store, either virtually (on-line) or at the actual camp store. The second step on the escalator might be the camper feeling good enough about product's quality to wear it/use it in public. The third step on the escalator may be when the camper responds to a person with a question about the camp logo on the product and having the camper talk positively about the camp. The fourth escalator step could be enrolling for a second season or convincing a friend to enroll. The marketing theory of the escalator concept is, the higher the campers climb on the escalator of consumption, the less likely they will be to jump off. The ultimate level of camp loyalty (the top step of the escalator) is when campers want to become counselors, or when campers convince their own kids to attend the camp, or when a camper who wants to be philanthropic, makes a donation to the camp with a gift in kind or a monetary contribution. Once they reached the top of the escalator, as long as your marketing management is consistent, you have loyal campers for life. Make it easy: Campers can feel part of the camp community even before they arrive at their first day of camp, if you offer clothing and equipment that they can purchase with your camp logo on it. Offer them the options of ordering camp merchandise on-line, over the phone and by mail. What to bring: provide campers with a list of what to bring (including items that they can buy from your camp store). Offer a comprehensive package (don't forget to be specific about how they can determine the best size to purchase in apparel) and give them the option of having it shipped to them or you can help them to save shipping costs (and eliminate the time you would take to ship it) by holding the merchandise for them for pickup when they arrive on their first day of camp. Making memories with pictures: Consider the power of digital photography. This new frontier has become easier to use and less expensive to enjoy to the point where anyone can snap away. The cost of digital cameras can range from $25 to thousands of dollars but the quality of the low-end digital cameras just keeps getting better and the quality is more than adequate for campers to capture memories of their camp experience. From e-mailing their photos at no cost to sending actual post cards by snail-mail, campers can promote your camp experience to their friends, their relatives… even their hometown newspapers. Keep in mind that even some of the lower-cost digital cameras offer quality that's good enough for publishing, but you have to make sure that you set the camera at its highest quality setting. Also, it's important to know if you have a digital zoom, because if you do, don't use it. Digital zoom simply wrecks the quality of the shot. Get close, frame it well (don't take far-away shots of the kids, unless the scenery really is the focal point), shoot at the highest quality possible and you increase the chances of the photos actually promoting your camp. Sure, the highest quality setting takes up more memory. So go ahead and invest in a memory card. Quality is well worth it, particularly when it is so readily available. Camp annuals: You can actually work with companies who can offer your camp annuals so that they can have custom front covers with photo that each camper provides. What a great way to help campers feel that they are an integral part of the camp community by having every camper on the front cover of the annual. There are vendors who will perform this service and all the campers have to do is download their own photos and the vendor will ship the camp annual directly to each camper. Camp photo journals: Some campers will click away and amass a huge number of photos. You can provide a great way to organize their photos and promote your camp by offering a camp photo journal that can already have old black and white images of campers from the past. This can also foster camp loyalty by helping them to feel part of the camp legacy. Say "Happy New Year" with a camp calendar: You can incorporate a photo of the camp for every month of the year. You can also include the key registration dates and seasonal activities offered by the camp. This can be an extremely effective way to have campers keep their camp close to their hearts all year long and to help them anticipate the fun that they will be having when they return to camp. You could also use the camp calendar to promote early camp registration as a Christmas gift. The list of digital photo applications that can become camp products that the campers can enjoy and that will promote your camp can be a long one -- photos can be displayed on playing cards, mouse pads, puzzles, mugs, t-shirts, to name just a few! 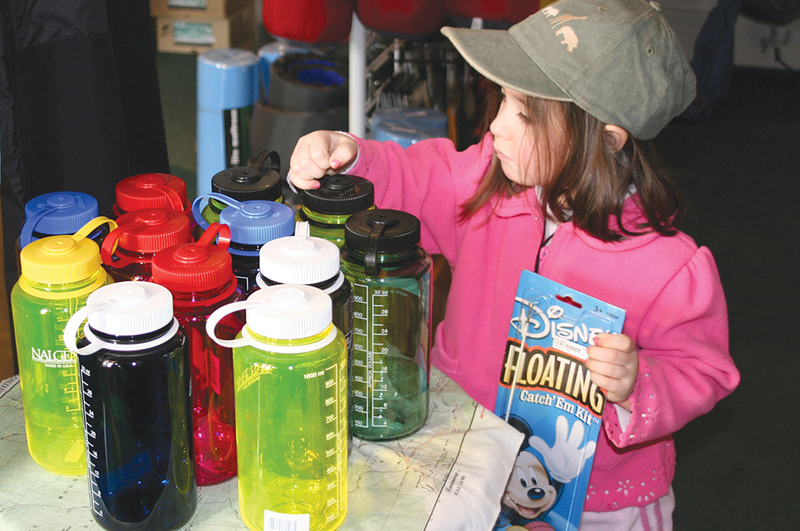 Utilize the companies who advertise in Camp Business to help with promotions -- from technology to promotional products. They wouldn't be advertising here if they didn't know something about the camp market, so don't hesitate to use them as valuable resources. Focusing the power of promotion through your camp store has amazing potential to grow your camp business. If you really want to be sure that you are tapping this potential to its fullest, be sure to ask your campers about the products that they would like to see in both your camp store and your on-line store. You might even consider offering retro products like replicas of camp sweatshirts that you sold in the 1970s. It really is an exciting time to apply the latest innovations in technology that will promote your business and at the same time, make your campers happy!